Project Managed by RCP, the new international terminal at Queenstown Airport has just been completed. The completion of this quality facility, in a world renowned destination, will bring fantastic benefits to tourism and business both locally and nationally. The 4,100sqm expansion has doubled the size of the Airport’s international operations, providing stunning floor to ceiling alpine views to waiting travellers, a new state-of-the-art Customs processing area, new gate lounges and retail offerings. 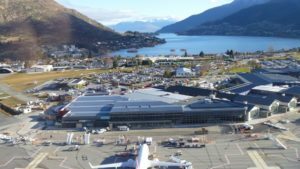 The new facilities at Queenstown Airport have been completed on time and on budget, ahead of peak July and August flight schedules.